Open Letter to NFL Players – Put Your Fingers Down! Okay. You’ve made your opening statement to the world. In front of a huge, national television audience, the Saints and the Vikings gave a”touching” gesture pointing their #1 finger in the air to proclaim their “oneness” as a players union in the face of a collective bargaining negotiation that could end in a lockout of the 2012 season. Good for you. Now put your fingers back where they belong and just play football. In the face of one of the worst (if not the worst) recessions in American history; where jobs have been lost; companies have gone under; unrest and anxiety reign; and uncertainty still exists; 1500 of the richest individuals on the planet want to make a statement about their job. Ugh! I understand that at one time, a union may have been needed. Today, that is over. The NFL makes kabillions of dollars for itself and its players. In fact, this is a players league! When Sam Bradford can make the coin he does when he hasn’t even played a down, there’s no doubt that the pendulum has swung from the 1950’s. There is no need for a union when the large majority of its members of that association are millionaires. When teachers unions go on strike, are you out there with your brothers and sisters holding picket signs? I don’t think so. When the airlines workers went on strike, were you out there in force to support them, or did it just mess up your travel plans? Listen – you are all supposedly college graduates (or at least had it paid for unlike most of your union pals). Get smart. This is not the time to demand more money, more benefits, or a sweeter deal. I saw a piece on ESPN where Osi Umenyiora of the New York Giants said something to the effect that the players don’t want to upset the fans, but they have to do what they have to do; it’s a business. Well, Osi take a gander at your brethren in the NBA, NHL, and MLB. They all have had recent player strikes or lockouts (baseball was over a decade ago) and they have never fully recovered. Those were all in GOOD economic times! NFL players – you’ve got it made. You are America’s new pastime, but don’t take that for granted. The fans that love you and your teams are hard working folks who don’t live in the same world you do. Even those in unions see through your call for “solidarity.” We understand it’s a business, however it’s a corporate one. You all individually are your own corporate entities. Fight for your own contracts as you must. That’s business. But do the right thing and use your players association for good, not evil. I may only be one fan’s voice. But, my guess is that there is more solidarity with my voice among my “peeps” than there is among yours. Last piece of advice. Put down your fingers before the fans stick a different one up at you. 1 – Congratulations to former Washington Husky Mark Brunell for getting a Super Bowl ring at 40 years old. After nearly 20 years in the NFL with Jacksonville and Washington, he finally gets a championship. Way to go Dawg! 2 – The Saints won because they were more aggressive and courageous. Going for the TD on 4th down in the 2nd quarter ended up not hurting them as they still got 3 points. The onside kick to start the 2nd half was a game-changer when they rolled in for a TD. Blitzing Peyton Manning (gasp) on third down up by 7 points late in the game caused a poor pass that was picked and taken to the house for the game clincher. Just like life, being aggressive and playing to your strengths brings success. 3 – Speaking of Dawgs – the Husky hoops team held serve big time over the weekend at home against the Arizona schools. In fact, they pummeled Arizona State. They are in a huge pack in 2nd place in a very weak Pac-10. They still have a shot at winning the conference, but they need to take their home-court play on the road. Time for Quincy Poindexter to do his own Jon Brockman impersonation and put the Dawgs on his back. 4 – Anybody realize that golf season is in full swing. Even me, an avid golfer who loves to watch golf on TV, haven’t followed it much without Tiger Woods. The biggest pieces of news have been on the course with Scott McCarron accusing Phil Mickelson of cheating and John Daly losing weight, his game, and then quitting. Yawn. Tiger better hurry back. 5 – One last Super Bowl note – to all those fans of teams who didn’t make the Super Bowl this year – don’t expect the Saints and the Colts back in the big game in 2011. One of the “curses” of this game is that the two Super Bowl teams rarely get back the next year. The Patriots did it on 2005 and 2005. Before that you have to go back to 1998 and 1999 with the Denver Broncos. That’s EXACTLY why the Saints will win. Peyton Manning may be the best QB of all-time (in my nearly 40 years of watching the NFL, he is), but he won’t beat Who Dat nation today. Why? – Eli Manning and the Giants had no chance to beat the undefeated New England Patriots. They did. – The Patriots ( a decade earlier) had no chance of slowing down the “Greatest Show on Turf) – the St. Louis Rams and Kurt Warner. They did. – The Baltimore Ravens could not beat the heavily-favored New York Giants with Trent Dilfer at QB. They did. Today, the 40+ year ordeal of the Saints ends with a victory that will result in a never-ending party on Bourbon Street. I’m changing my pick from earlier in the week. The QB from Indiana, Drew Brees (Purdue) will out-duel the QB from New Orleans, Peyton Manning (grew up and played high school in New Orleans) in cold Miami. 1 – Rex Ryan is quite a salesman. He came out at the beginning of the playoffs and said his New York Jets should be favored through the playoffs. That drew chuckles and smirks from the pundits, realizing Ryan was trying to inspire confidence in his players. It worked. The Jets are playing spectacularly winning two road games with a rookie quarterback, the last being against the hottest team in the league who had just won 11 straight games. They may not get past the Colts, but if you ask Rex Ryan, an Indy win would be an upset. 2 – I love the Minnesota – New Orleans match-up this weekend for the NFC Championship. New Orleans has never gone the the Super Bowl and the Vikings haven’t been since they were led by Fran Tarkenton and the Purple People Eaters. Both teams stomped their worthy opponents and are riding in high. I think this is a tight game and just feel the home-field will give the Saints the edge. My early line is New Orleans 31 – Minnesota 28. 3 – The Dawgs bark back. After a woeful stretch of games, the Husky men’s hoops team climbed right back into the race by blistering the Bay Area schools. Stanford may not be a huge threat, but Cal is the odds on favorite to win the conference. Neither game was close. Perhaps the silver lining of those three straight losses will be an inspired Husky team that carries this momentum through the rest of the season. 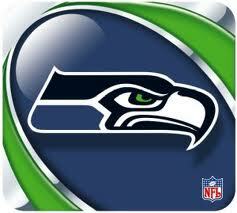 4 – Pete Carroll is making wise choices. Yes, he’s brought in a few of his assistants from USC. However, his offensive coordinator, Jeremy Bates has NFL experience with Mike Shanahan. His new line coach, Alex Gibbs, is highly respected in the NFL and was just pried away from Houston. And now it sounds like they are talking to former Redskins defensive backs coach, Jerry Gray. He was the coach given the “interview” to satisfy the Rooney Rule by Washington prior to hiring Shanahan. Bringing in savvy and seasoned coaches will make the transition that much quicker and smoother.